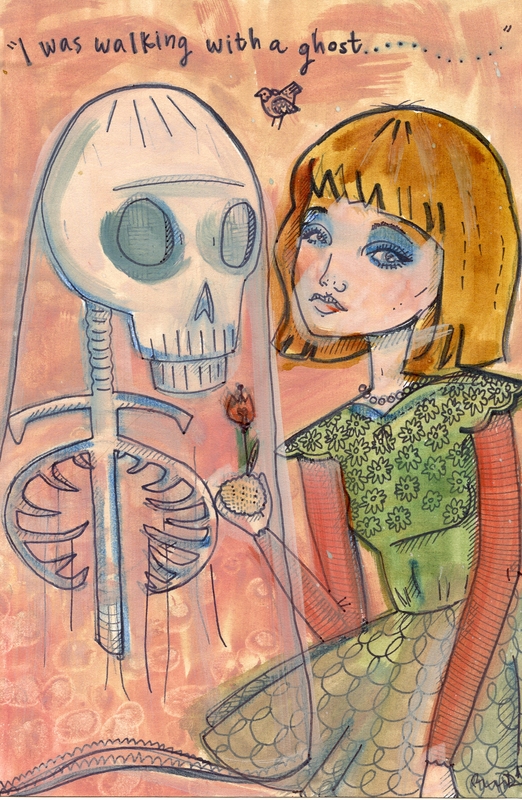 During the month of May, the library will exhibit two art shows. In the Mellon Room, we will feature the photographs of Howie Motenko. The show, entitled “Painting Bridges: Uniting Community with Art”, is a fundraiser for Friends of Acadia. 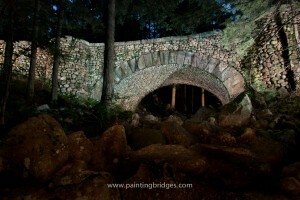 In July 2012, Howie conceived of a community art project utilizing the photographic technique of light painting on the historic stone bridges of Acadia National Park. His idea was to assemble a team of volunteers who, wielding flashlights, would “paint” a bridge with light while he created a long-exposure photograph. For the next nine months, a growing cohort of co-artists journeyed at twilight to each bridge on Acadia’s carriage roads. By spring of 2013, stunning photographs of all 16 historic Rockefeller bridges and both gatehouses had been completed with the help of 150 volunteers. For the entire month of May all 18 images will be on display at the Northeast Harbor Library. This is the only scheduled time for all the images to be displayed in one room. Images may be purchased at the exhibit. In keeping with the community spirit of the project, 100% of the profits from the exhibit will be donated to Friends of Acadia. During the month of May, art from students at MDI High School will be on display in the library’s lobby. The show, called “Humanity”, will include ceramics, paintings and drawings, photo manipulation, traditional photography and multi-media sculpture. Artists include Zoe Kestner, Alexandra Simis, Erin Connery, Phoebe Dean, Emily Butler, Necal Lea, Kat Murphy, Jozette McEnroe, Noah Davis, Emma Soucek and many others. There will be an opening reception on Friday, May 3 from 5-6pm. Live music will be performed by MDI High School students Sean Beaulieu and Jack Sasner. Everyone is welcome!